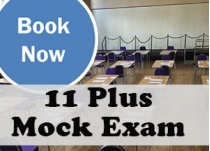 Secure your place in our 2019 11+ Mock Exam Programme now! Booking for our 2019 Mock Exam Programme is now active. Our schedule is online and live, 2019 is going to be a great year and we are aiming for even more success stories than ever !